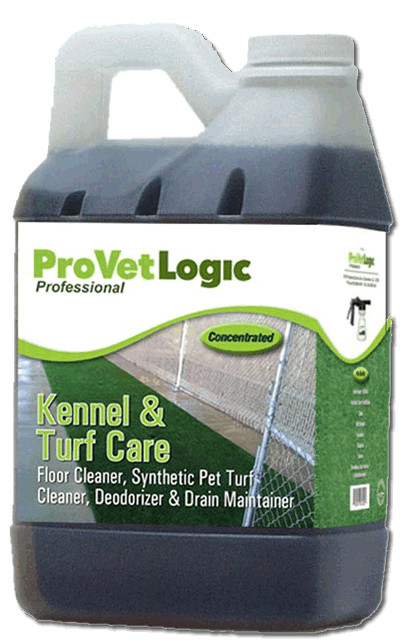 Kennel and Turf Care Floor Cleaner, Deodorizer and Drain Maintainer uses patent-pending technology that effectively removes stains and soils from kennel floor and other porous surfaces. 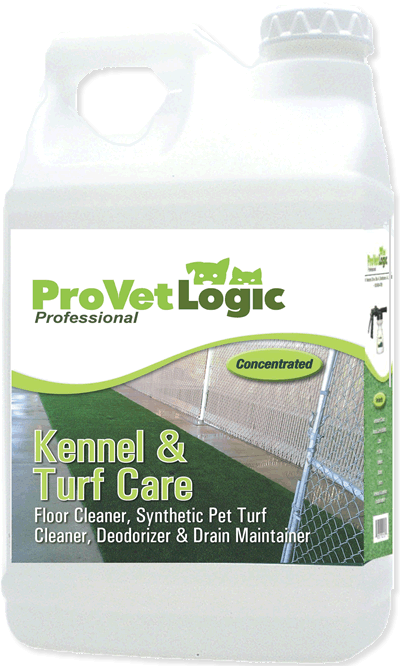 It also contains beneficial microorganisms that are deposited on the floor through normal use of the product that. 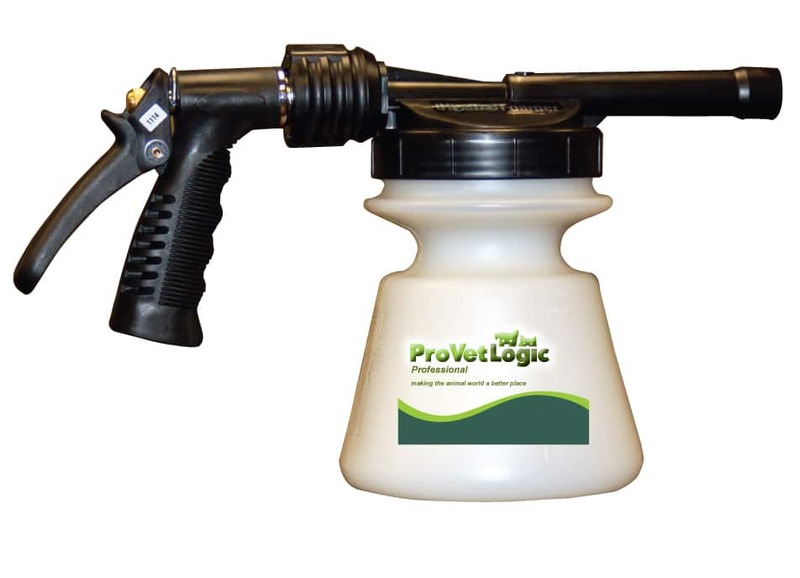 work to control odors by degrading odor-causing compounds and organics that don’t get picked up through normal cleaning. This is especially effective for grout, cracks and hard-to-reach corners. 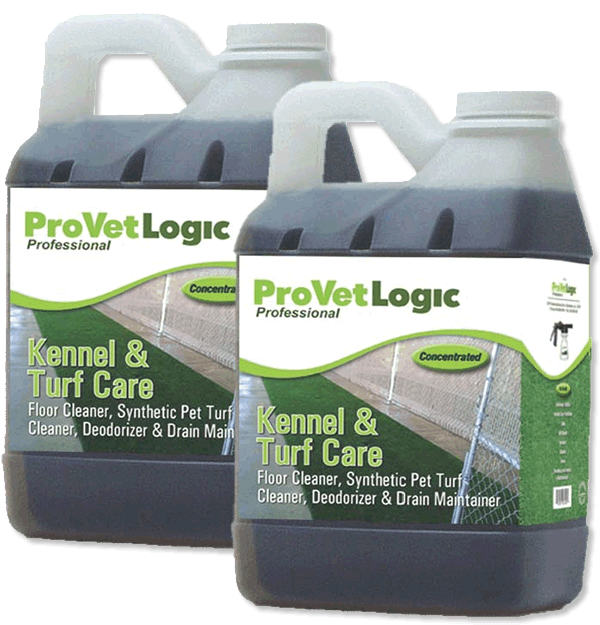 Kennel Care does not leave any visible or slippery residue on the surface after cleaning. 4 per case. 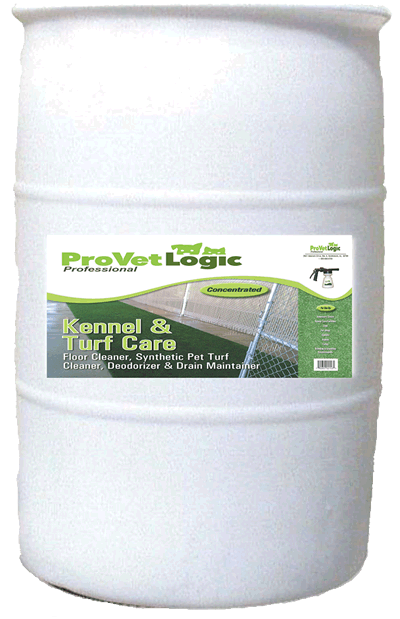 Makes up to 128 gallons or 512 quarts/bottle. 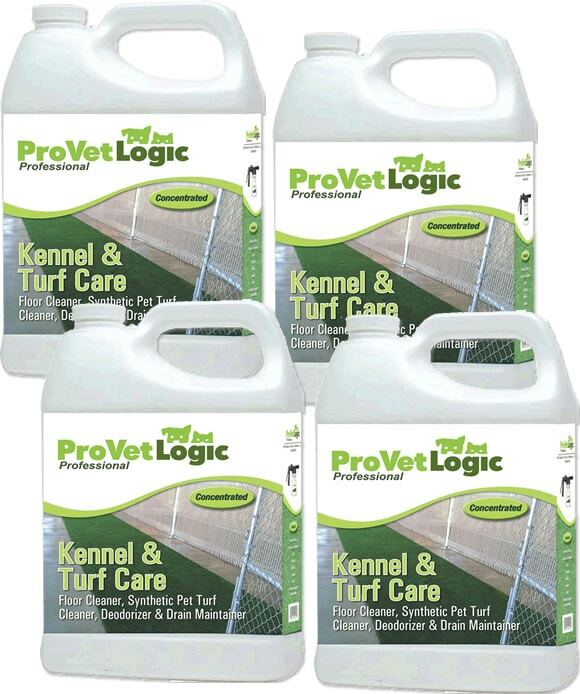 As low as $.05 per usable quart. 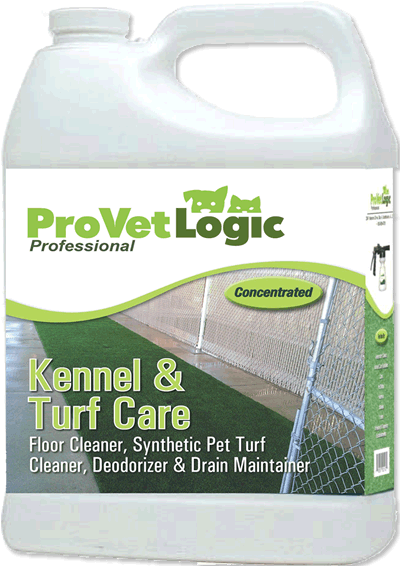 For Light Duty Cleaning and Floor Maintaining: Dilute 1 to 2 ounces of product per gallon of water. Rinse thoroughly with water.